If you live an active, health-conscious lifestyle, you probably already know that inflammation can be hazardous to your health. Furthermore, if you are a regular follower of our blog, you might know that moringa is a powerful anti-inflammatory food. Despite this, moringa’s anti-inflammatory prowess has been somewhat overshadowed by the relative popularity of another superfood… turmeric. As an anti-inflammatory, moringa may be more effective at reducing inflammation than turmeric. Moringa was recently featured in an article on wellandgood.com for it’s anti-inflammatory prowess and overall nutritional density. But what is inflammation and why should you be concerned about it? Why should you include anti-inflammatory foods like moringa in your diet? Inflammation can occur internally or externally and can come in many forms, including redness, pain, heat, and swelling. For many people, achy joints and muscles are the first thing that comes to mind as examples of how inflammation presents itself. Inflammation comes in two forms: acute and chronic. Acute inflammation is simple; it is part of your body’s immune response when you injure yourself. Without it, wounds and injuries would not heal. Chronic inflammation, on the other hand, is a much different story. When inflammation persists in the body without purpose, it can lead to serious health issues. In a previous article, we highlighted the role of inflammation in diseases from dementia, to cancer, to heart disease. Chronic inflammation is caused by all sorts of negative outside influences, such as poor diet, lack of exercise, and even too much stress. In fact, chronic inflammation is essentially the root of many illnesses. Therefore, it makes sense that a diet rich in whole foods with anti-inflammatory properties could help keep you healthy and happy. 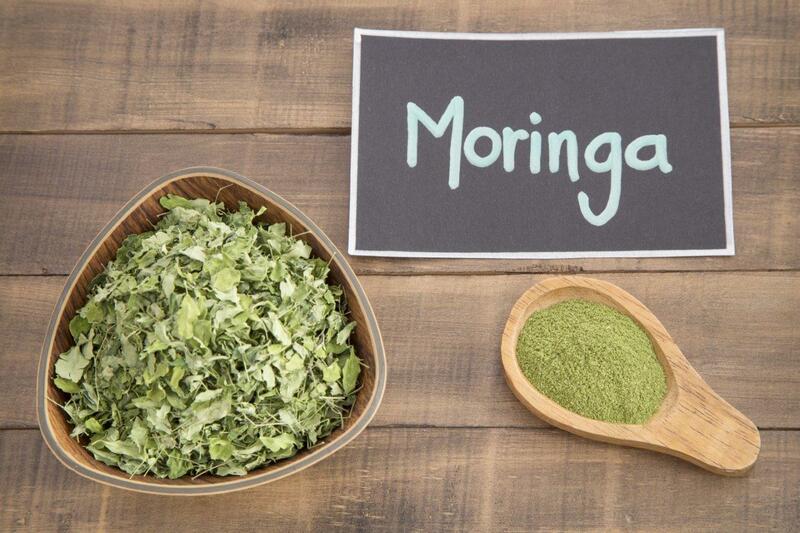 There are already more than enough reasons to make moringa a regular part of your diet. To give a quick snapshot, moringa has twice the protein, three times the calcium, and four times as much iron as kale. Beyond these amazing nutritional properties, research is now pointing to the fact that moringa should be your anti-inflammatory of choice. But just how strong of an anti-inflammatory is moringa? 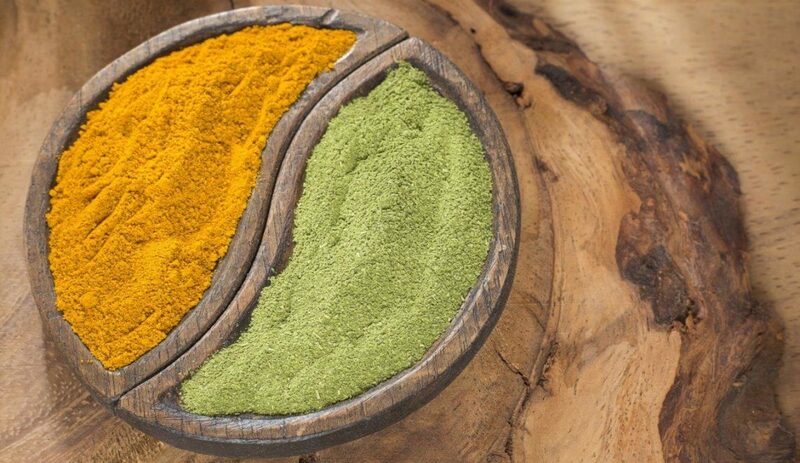 We decided to compare it to turmeric in an anti-inflammatory battle royale. In order to compare the anti-inflammatory properties of two different foods, we must first understand how the foods actually reduce inflammation. Turmeric is a root, related to ginger, and is commonly used in food and cooking. Its principle anti-inflammatory compound is a curcuminoid phenol compound known as curcumin. Curcumin is also what gives turmeric its yellow color. Moringa is similar to broccoli in that it is a cruciferous vegetable and contains glucosinolates that can form isothiocyanates. Isothiocyanates can also be found in cruciferous vegetables like broccoli and kale. Isothiocyanates are readily absorbed in the body and have been well-studied in broccoli. Emerging research on moringa has shown that the isothiocyanates in moringa are even more stable and bioactive than those found in broccoli. These compounds reduce inflammation by reducing the production of nitric oxide (NO) and inflammatory markers. Additionally, they are able to activate a detoxification pathway known as Nrf2. A recent study found that the isothiocyanates were more effective at reducing inflammation markers than curcumin. In the test, Curcumin reduces nitric oxide (NO) production by 5-30% while similar concentrations of moringa isothiocyanates reduced NO by 72-93%. Moringa was also more effective at reducing concentrations of three different inflammatory markers including iNOS, IL-1β, and IL-6. Turmeric is not as easily absorbed when eaten on its own, which brings to question its bioavailability. One of the best ways to solve this problem is to eat turmeric in conjunction with black pepper. Black pepper contains an alkaloid called piperine, which significantly boosts the body’s ability to absorb turmeric. However, this can be a hassle as it takes a few hours after consumption for piperine’s effects to peak. Additionally, if you don’t have the time to eat pepper in advance, there aren’t many cases in which black pepper and turmeric go well together. 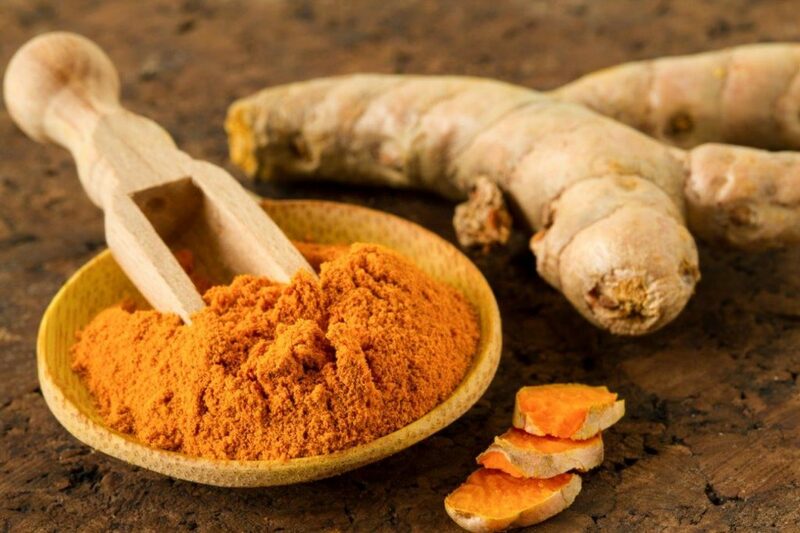 Finally, despite turmeric’s popularity as an anti-inflammatory, there isn’t enough research that has proven clinically the anti-inflammatory effects of curcumin. Isothiocyanates may be more bioactive and easily absorbed in the body than curcumin. No need to worry about pre-gaming your moringa with pepper because your body can absorb it all by itself. Moringa also gives you a host of other health benefits beyond what your typical green vegetable is capable of providing. This is in part because while most greens are 90% water, moringa is only 80% water, making it more nutrient-dense than most leafy greens. Of course, this isn’t to say turmeric isn’t good for you (it is a superfood after all). However, in terms of anti-inflammatory foods, moringa may be a simpler and more versatile ingredient to add to your anti-inflammatory lifestyle. If you’re looking for a natural solution to reducing inflammation, add moringa to your favorite smoothies, shakes, and any sweet or savory dish. So there you have it, moringa beats out anti-inflammatory superpower, turmeric at its own game. It’s just one more reason to eat moringa every day as part of a healthy diet. Still not convinced? Eating moringa can also help reduce blood sugar and bad cholesterol. 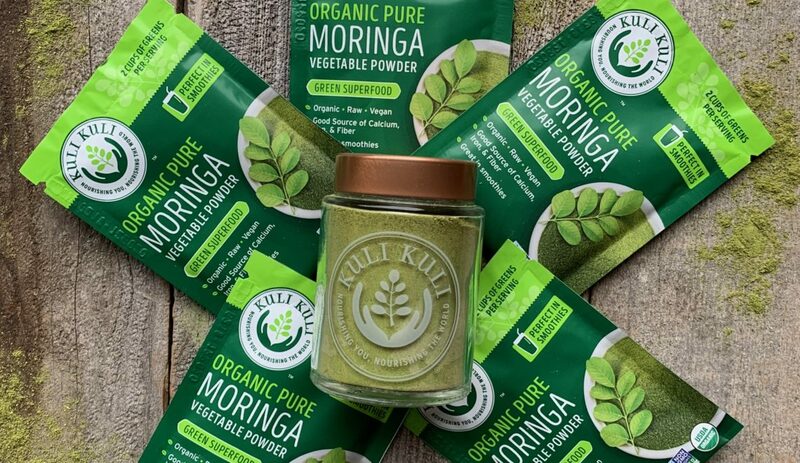 For more information on moringa’s health benefits, check out Kuli Kuli’s popular Battle of the Greens series. Looking for simple ways to include moringa in your diet? 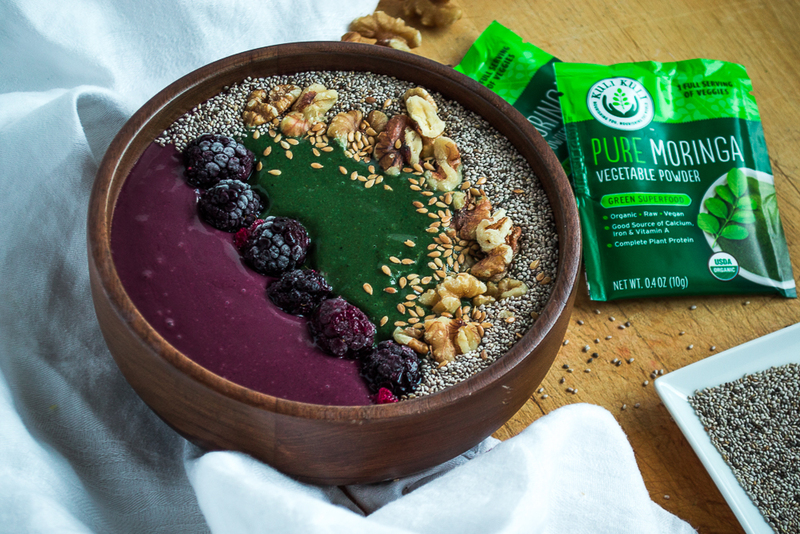 Check out our Moringa Anti-Inflammatory Smoothie or the vast offering of #MoringaInspired recipes and smoothies on our website. Because of moringa’s versatility, you can use it to improve the nutritional quality of so many meals. Try moringa in a bar, as an energy shot, or in our new moringa greens and protein powder. Graf, Brittany L., Asha L. Jaja-Chimedza, and Ilya L. Raskin. “Comparative Anti-Inflammatory Effect of Moringa-Derived Isothiocyanate versus Curcumin in vitro and in vivo.” The FASEB Journal 31.1 Supplement (2017): 972-22. Juge, N., R. F. Mithen, and M. Traka. “Molecular basis for chemoprevention by sulforaphane: a comprehensive review.” Cellular and Molecular Life Sciences 64.9 (2007): 1105. Jurenka, Julie S. “Anti-inflammatory properties of curcumin, a major constituent of Curcuma longa: a review of preclinical and clinical research.” Alternative medicine review 14.2 (2009). Laurence, Emily. “This Super Green Is a Stronger Anti-Inflammatory than Turmeric.” Well+Good, 12 Sept. 2017, www.wellandgood.com/good-food/health-benefits-of-moringa/. Maheshwari, Radha K., et al. “Multiple biological activities of curcumin: a short review.” Life Sciences 78.18 (2006): 2081-2087. Menon, Venugopal P., and Adluri Ram Sudheer. “Antioxidant and anti-inflammatory properties of curcumin.” The molecular targets and therapeutic uses of curcumin in health and disease. Springer US, 2007. 105-125. Tumer, Tugba Boyunegmez, et al. “Direct and indirect antioxidant activity of polyphenol-and isothiocyanate-enriched fractions from Moringa oleifera.” Journal of agricultural and food chemistry 63.5 (2015): 1505-1513. Waterman, Carrie, et al. “Stable, water extractable isothiocyanates from Moringa oleifera leaves attenuate inflammation in vitro.” Phytochemistry 103 (2014): 114-122. Dave graduated from the University of East Anglia in Norwich, England with a Master’s Degree in Environmental Sciences. He started as a Blogger for Kuli Kuli in July, 2014 and currently works as Kuli Kuli’s blog editor alongside Katie Kossow. As a fitness and sustainability enthusiast, he is always excited to learn more about healthy, nutritious foods which can have a positive impact on both human health and our planet. His journey into eating superfoods began after reading vegan ultra-marathoner Scott Jurek’s book, ‘Eat and Run’. Dave is in love with travelling and exploring all of the beautiful natural wonders the world has to offer. While you do make many valid points and overall the favor does seem to be yours, the point I wish to make is the price point. Turmeric itself is inexpensive and even the addition of black pepper does not drive the price point up much. Moringa is substantially more expensive. You can get a lot of turmeric and black pepper for what can be spent on Moringa. That being said, I do have a great fondness for Moringa in all of its forms. The price doesn’t concern me, but I wish the company hadn’t ruined the bars by adding sugar. Any health benefits of the Moringa is more than offset when I see cane Sugar on the ingredient line. Stevia anyone??? Here in the philippines we are rich in moringga..Moringga tree grows everywhere.Unlike turmeric and pepper, it is expensive here. I make moringga powder and sell it..because we have lots of it. I love Moringa which is very new in my country, Papua New Guinea. Moringa grows well in India and African countries….PNG is no different. KuliKuli must come to PNG. 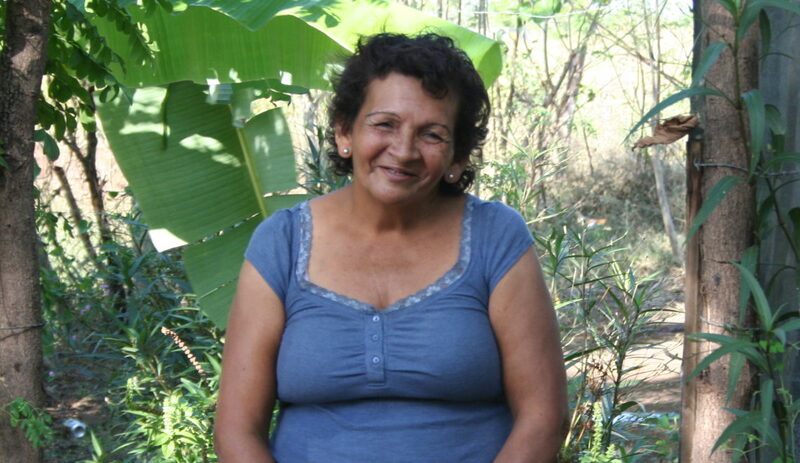 You mentioned assisting developing countries, PNG is one of those countries……Are you interested, I am also expanding to the rural areas to grow more Moringa. Creation of employment fot women, girls boys. Income generating project. And your presence is a mighty boost….PNG issues , Malnutrition, Diabetics, Cancer, High Blood pressure, etc. Again you can make a big difference . Two can go a long way not one. Thank you for your interest. We have very strict sourcing standards. Please provide a detailed inquiry via our contact us page. We think so too! Thanks for reading! Great work and througout in providing this information. I’m a big fan of curcumin myself, but nobody seems to know what absorbent agent is really the best. There seems to be a lot of discussion about it, but as a newbie in this field, i’d like your opinion on this. I’ve also read different studies, but they are mostly provided by the manufacturiers or somebody associated with their product. Do you know which absorbent agent is the best for curcumin?